Capo Testa rocky peninsula extends close to the Straits of Bonifacio. 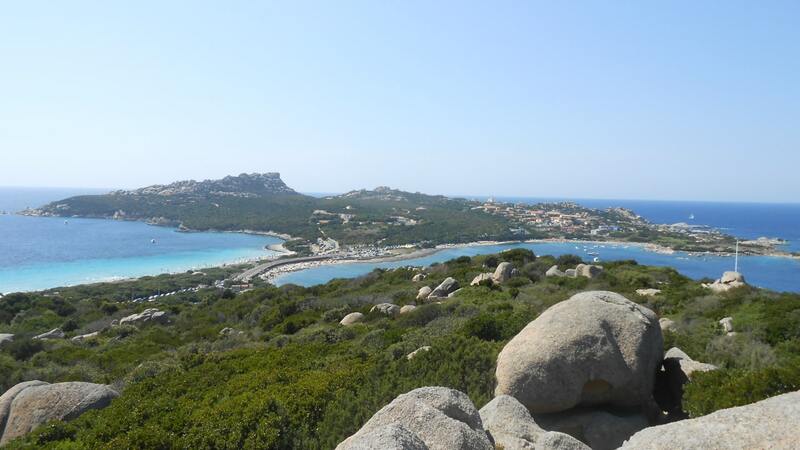 It is connected to the rest of Sardinia by a narrow sandy isthmus. Not far away, on the end of the Beach of the Granites, north of the isthmus, you can see the remains of some ancients columns from the Roman period.